Fivestar ABC Stock Car Bodies are available in Traditional and Greenhouse Roof Styles. Pit Stop USA is The Online Motorsports Superstore! We feature Camry MD3 Dirt Late Model Combo Kits at low everyday prices. Laminated carbon fiber blends are a low cost alternative to 100% Carbon Fiber! Pit Stop USA is The Online Motorsports Superstore! We feature Charger MD3 Dirt Late Model Combo Kits at low everyday prices. Pit Stop USA is The Online Motorsports Superstore! We feature Race Truck Fenders at low everyday prices. 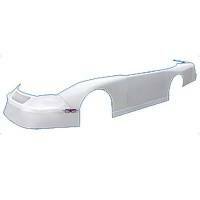 Cockpit Deflectors For Dirt Late Models and Modifieds are the perfect way to protect yourself from wind & debris! Pit Stop USA is The Online Motorsports Superstore! We feature Dirt Late Model Fenders at low everyday prices. Cockpit Deflectors For Dirt Modifieds and Late Models are the perfect way to protect yourself from wind & debris! Pit Stop USA is The Online Motorsports Superstore! We feature Doors at low everyday prices. Fivestar MD3 Evolution 2 Complete Dirt Late Model Combo Kits include high-impact molded plastic nose, upper & lower fenders and lower aero valance (under nose). Pit Stop USA is The Online Motorsports Superstore! We feature Ferrari MD3 Dirt Late Model Combo Kits at low everyday prices. Pit Stop USA is The Online Motorsports Superstore! We feature MD3 Noses at low everyday prices. Pit Stop USA is The Online Motorsports Superstore! We feature Monte Carlo SS Street Stock Noses at low everyday prices. NASCAR K&N Pro / ARCA Noses are the STRONGEST, LIGHTEST WEIGHT material without compromising rigidity. Fivestar MD3 Pavement Modified Roof features hand-laid composite panels that are consistent in strength, weight and shape, and are repairable and paintable. Nobody does polycarbonate racing windows like Fivestar! Fivestar custom formed racing windows are superior to all others! Pit Stop USA is The Online High Performance Superstore! We feature Sound and Heat Insulating at low everyday prices. Universal Rear Spoilers from PitStopUSA.com provides downforce to rear wheels for improved high speed stability. They comes complete with support struts,mounting brackets and hardware. Pit Stop USA is The Online Motorsports Superstore! We feature Street Stock Roofs at low everyday prices. Pit Stop USA is The Online Motorsports Superstore! We feature Street Stock Windows at low everyday prices.